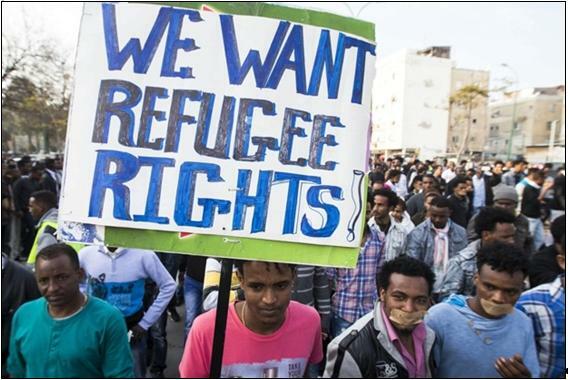 A mass rally will be held tomorrow, Saturday, February 24, against the deportation of African refugees and asylum seekers under the banner: “We must stop the deportation; we must rebuild South Tel Aviv.” The rally will commence at 20:00, at the intersection of HaAliyah and Levinsky Streets and will work its way up the latter. Hadash and the Communist Party of Israel have called upon their members to take part in the demonstration against the racist policy of the far-right Israeli government. “We won’t allow them to divide and incite between our communities! Deporting people to their death will not improve the condition of our neighborhoods, and we will not allow that to be done in our names. Instead of incitement and empty words, we demand the government to finally review asylum applications, to accept all those eligible for asylum throughout Israel, to invest in improving South Tel Aviv’s crumbling infrastructure, and an immediate halt to the eviction of all of South Tel Aviv’s residents from their homes,” concluded the organizers in their call to participate in Saturday’s rally.